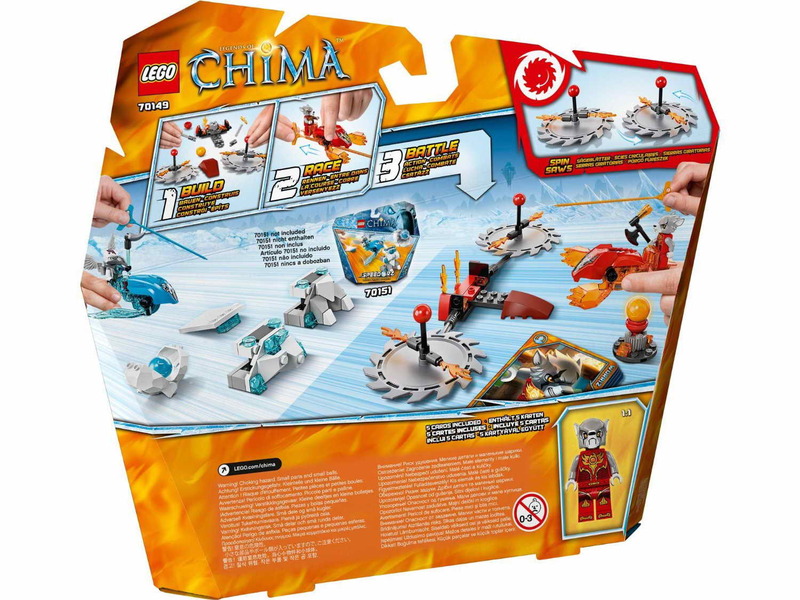 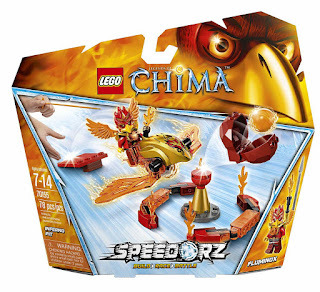 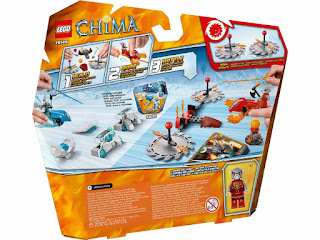 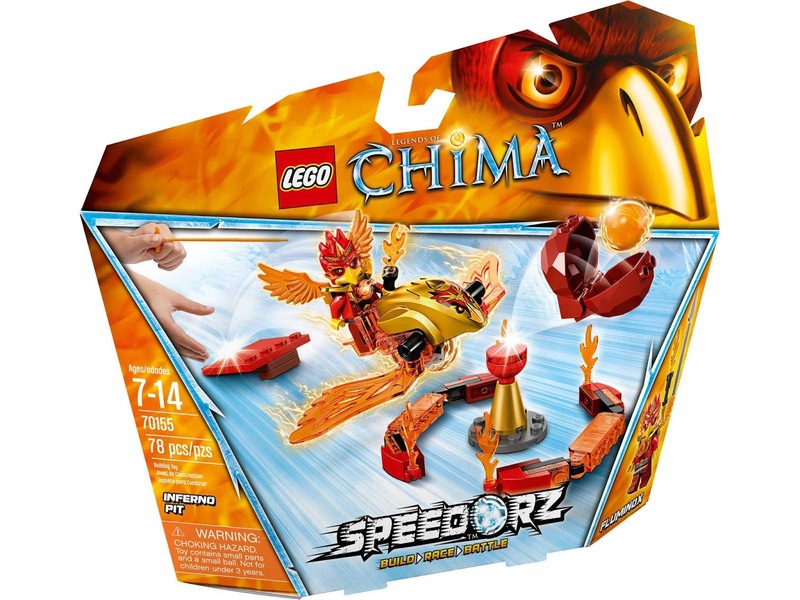 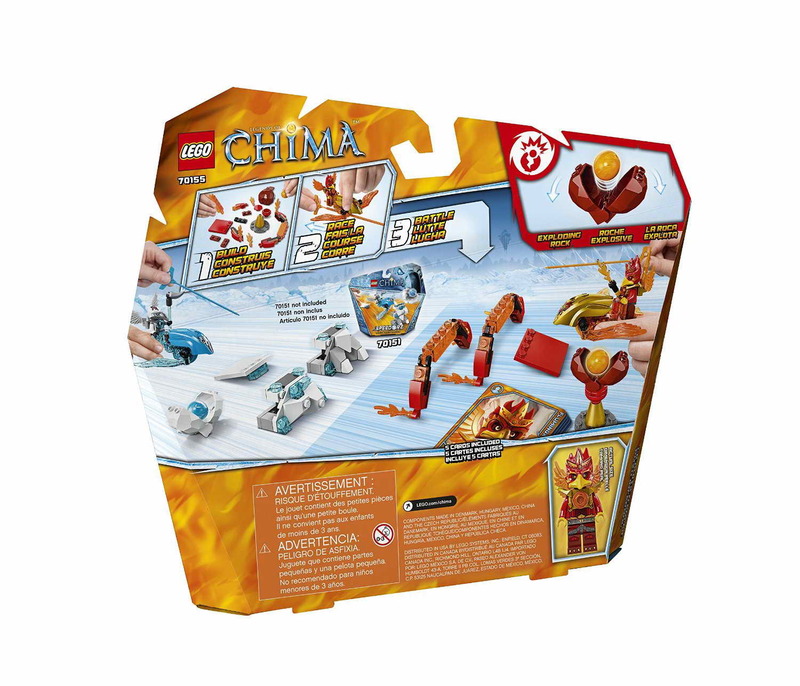 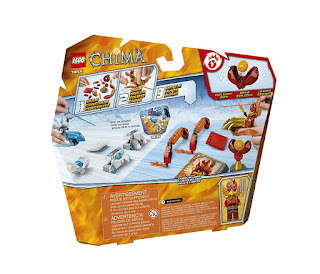 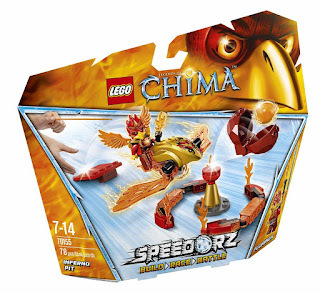 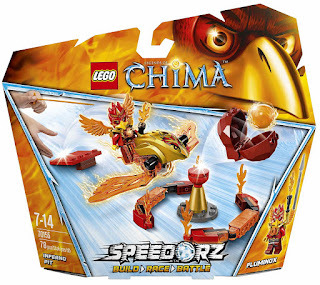 new legends of chima theme set. included an inferno pit speedor. 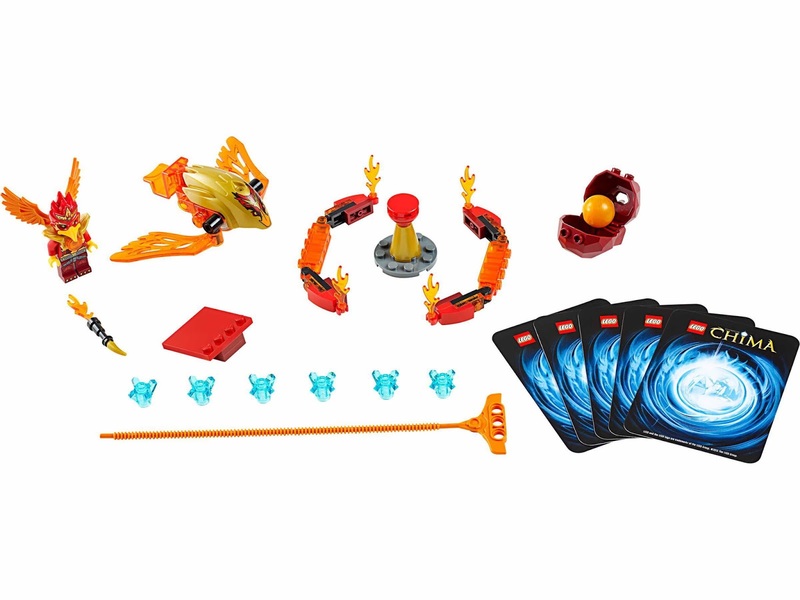 the speedor has fire wings, a rip cord, a chi totem, a jump, a ring of fire, a fire chi orb, 6 chi crystals and 5 game cards. 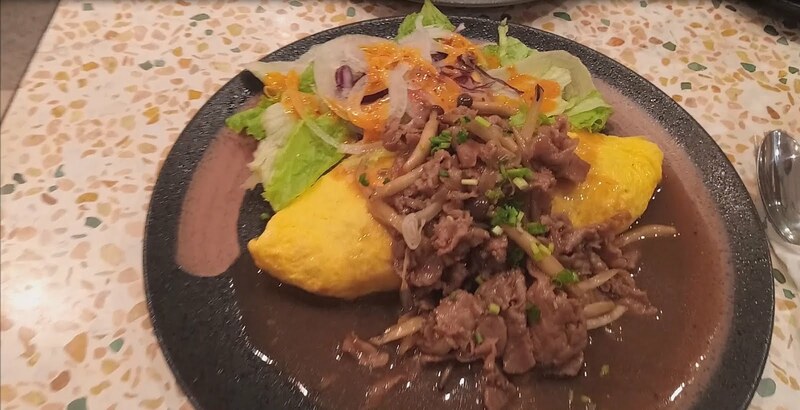 weapons included a phoenix chi blade and a spear. 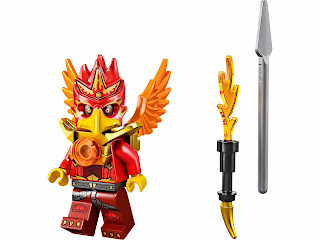 minifig included a fluminox minifig.